Blurb: Liv Burnham thinks nobody knows Morgan Frost like she does, but a terrible accident pushes her down the rabbit hole where Morgan’s secrets hide and she’ll be lucky to make it out alive…. After a car accident, Liv wakes up, wondering why everyone is calling her Morgan. Then she sees her face in the mirror, and she is Morgan, although she has all of Liv’s memories and none of Morgan’s. At home, Liv begins to realize just how many secrets Morgan had that she, Liv, supposedly her best friend, knew nothing about. And at least one of those secrets is very dangerous. This is one of those novels that is almost impossible to put down. Not only is the story so compelling with the mystery that falls into Liv’s lap, but also the mystery that is Liv. I was semi-afraid while reading that some less than satisfactory summing up for what occurred after Liv died would be used. I was, however, pleased with the reasoning and explanation. Also, I loved the relationship between Liv/Morgan and Clay. At the outset of the novel, I presumed that Clay was going to be one of these irresponsible bad boys that seem to be inundating YA reads, but Clay was perfect. Even the slightly steamy scenes between Liv/Morgan and Clay were perfect. There are so many surprises in Like Never and Always that definitely make this one a page-turner. 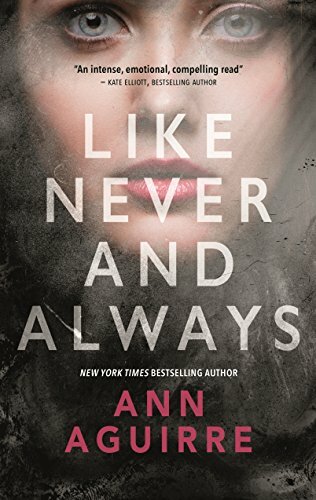 If you’re a fan of Lauren Oliver’s Before I Fall or Gayle Forman’s If I Stay, add Like Never and Always to your TBR pile or read it now! Discovering You Book Tour, Excerpt, and Giveaway! I really liked this book, too. Great review! Great review! The book seems cool. I’ll look into it! Thank you. I hope you like it as much as I did! Can’t wait to read this one very soon. Great review. Thank you! Definitely hard to put down and I’m still thinking about it. it sounds really interesting and i do enjoy books with a twist, that you say you were pleased with the Liv/Morgan situation reasoning encourages me to read it too. These ever increasing TBR piles, but I love it. I hope if you read it you enjoy it as much as I did! I will be checking out a book sale next weekend and hope it’s on their shelves. i think i will like it, the little I have read from your excellent review and also online has me very keen.